Anderson’s films can more rightly be described as competent treading of well-worn terrain. His last few movies, however, show potential, and so I’m unwilling to write Anderson off as an impersonal filmmaker. Perhaps he has it in him to perform the auteurial jujitsu necessary to turn the generic qualities of his movies into virtues, into a truly compelling and original statement about the world and/or the cinema itself, merging the blankness and fungibility of his characters with the schematic structures of their worlds and the interchangeability of their dialogue to say something truly meaningful. But I don’t think he’s made that complete a filmic statement yet. Well, it’s four years later, and Resident Evil: The Final Chapter is that statement. The first movies I ever watched after I moved to Seattle were a series of Akira Kurosawa films at the Varsity. Throne of Blood and The Bad Sleep Well were among them, and it was a revelation seeing them on the big screen. Of course it was on 35mm then, digital video wasn’t a thing yet. Kurosawa remains one of the most reliable figures on the repertory film scene, but prints are becoming harder and harder to find. The Grand Illusion is one of the very few venues in town to reliably seek out and exhibit films on actual film, so take this opportunity to see a couple of great films from a great director while you can. We talked about The Bad Sleep Well on The George Sanders Show, and I wrote a little bit about Throne of Blood a long time ago. 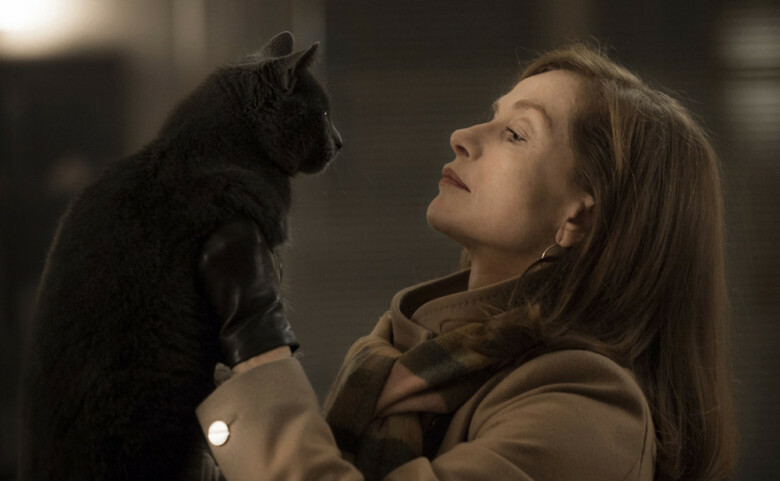 There is no tiptoeing around the subject matter of Elle, a study into the ramifications of sexual violence seen through a particularly perverse lens. This lens is of essentially three people: the central character Michèle, Isabelle Huppert as the actress that plays her, and the director Paul Verhoeven. Together, the two collaborators create an indelible and often frightening world filled with constant paranoia and even more black comedy, all while the mystery—surrounding both the identity of the attacker and Michèle’s motivations—moves further and further along, culminating in a place both completely logical and totally unexpected. In the first of many salvos, Elle quite literally opens with the sounds of Michèle being raped in her home by a masked assailant, who leaves behind a scene filled with broken objects. Michèle, however, demonstrates she is no mere object, quickly cleaning up the mess and ordering sushi in a manner that both feels like a subversion and a natural extension of the personality that Huppert has already crafted, almost entirely nonverbally. Interestingly enough, Elle remains consistently nervy, even utilizing a scene like one where Michèle bathes for maximum effect, as blood appears under the suds and she stares before quickly wiping it away. Jim Jarmsuch’s best movie in more than twenty years, and probably the best movie of 2016 (at least, that’s what I’ll say right now), stars Adam Driver as a poet named Paterson, who lives and drives a bus in the city of Paterson, New Jersey, which was itself the subject of an epic poem by William Carlos Williams called Paterson. Jarmusch deftly tracks a week in Paterson’s life: the habitual necessities and routines, and the small spaces within them that he carves out for writing (think Frank O’Hara’s Lunch Poems). Small details accrete: the job, the dog, the regulars at the neighborhood bar, and an infinite, livable world is created. Rarely has a film so elegantly captured creative work as process, as an integral part of everyday life. When Driver reads Paterson’s poems, he doesn’t recite them, the words in voiceover come with the halting, tentative speed of composition. Neil reviewed the film for us last fall at VIFF, and Ryan wrote about it this week. It is often tempting to look at the possible influences that a particularly derivative-feeling movie has drawn on, to see the superior versions of a standard or rote narrative. Live by Night is no exception; to this reviewer the film almost reads as a clumsy marriage between Michael Mann’s Public Enemies, in overall style and milieu, and Miami Vice, if Colin Farrell’s character was on the other side of the law. Yes, the film is adapted from the novel of the same name written by Dennis Lehane, but there is an undeniable urge to compare this limp, lifeless work to its better examples. There are, of course, many other and better examples. 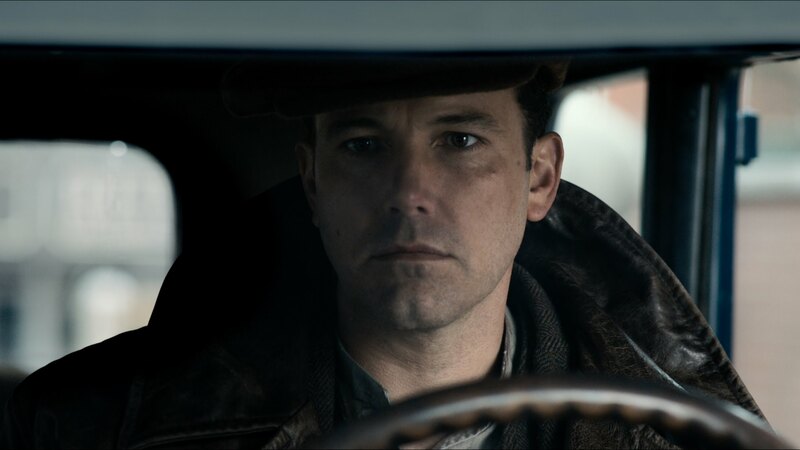 Live by Night is an extraordinarily by-the-book gangster film set in during Prohibition, detailing the rise to power of Joe Coughlin (Ben Affleck, who also directed and wrote the adapted screenplay) in first Boston and then Tampa. Herein lies the first fatal mistake of the film: Affleck structures the first third of the film that takes place in Boston as a kind of prologue, briefly introducing Joe lying in a hospital bed before moving back seemingly only a few months back in time. The Boston section as a whole is thus rendered moot, and the film feels too rushed to fully luxuriate in the urban grime that it attempts to evoke, especially in a mildly thrilling Model T chase. Boiled down to its essence, Silence is the story of two identically framed shots, both of which take place in the film’s first third. 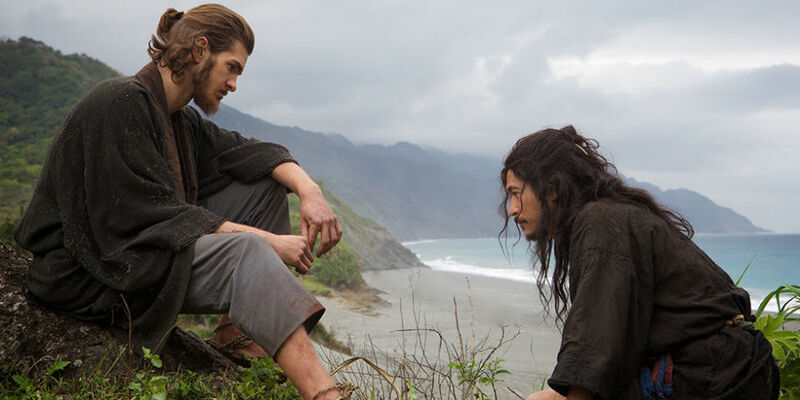 The first is of Father Rodrigues (Andrew Garfield) striding across a beach, accompanied by members of a village in Japan almost wholly inhabited by Kakure Kirishitans (Japanese who worship Christ in secret) that welcome him and the spiritual services he provides with open arms. The second is of Rodrigues stumbling along the very same beach alone in disbelief, the wide and distant framing creating a sense of absence rather than a feeling of grandeur. Of course, no movie, and certainly not one of this magnitude and accomplishment, can be summed up in such a way, but it provides an undeniable contrast that mirrors that of the film of the whole. It is a constant struggle, orchestrated with nigh-impossible finesse by Martin Scorsese and company, between faith and doubt, destruction (physical and spiritual) and endurance, and a score of other eternal opposites. But it is never a simple conflict of East versus West or Christianity or Buddhism, nor does it ever succumb to any sort of extreme. It remains exceedingly faithful and yes, quiet, but in a way that feels irrepressibly moving and impactful, that continues to affect this reviewer days after, and will likely to shake me for years to come. Scorsese’s confidence and his utter trust in the thematics at the center of his film (and the novel by Shūsaku Endō that it is based on) is such that the driving narrative force is all but absent during much of the film. After introducing the impetus for Rodrigues’s and Father Garupe’s (Adam Driver) perilous journey to Japan, the disappearance and possible conversion of their well-known mentor Father Ferreira (Liam Neeson), the film purposefully moves in fits and spurts, never breaking away from Rodrigues’s perspective. Its flow is impeccable, as comfortable when it lingers on the Jesuit padres providing the sorely needed sacramental rituals as when they are itching to continue the search, to leave the outer villages and search among the grave dangers of the cities under the iron rule of the Tokugawa Shogunate. This is an unexpectedly quiet and powerful aspect of Silence, occurring even before the unimaginable turmoil that dominates the latter two thirds of the film, the simple statement “We need you.” It is said in a moment of desperation by one of the villagers, but it feels as if it applies to every waking moment of the Kakure Kirishitans’ lives. For them, the arrival of the padres is almost literally life-changing, a return of hope for a hidden people who have been forced to use valiant imitations and a surrogate priest in the face of systemic suppression. It is a comfort born out of an immense hunger, where the gift of a single rosary bead or a handmade cross gives immeasurable satisfaction. Scorsese shows this with utmost clarity, with a profound empathy for their belief almost without reservation. 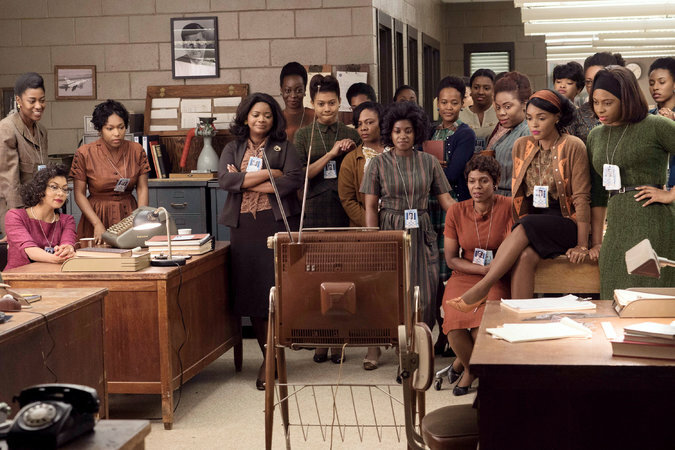 Hidden Figures is the strange sort of film where absolutely everything, even and sometimes especially the not insignificant number of well-done parts, act as a sort of detriment. It is a disappointment, for sure, but there is something in its shamelessly crowd-pleasing manner that feels both ingratiating and off-putting. The first oddity of Hidden Figures is its altogether odd attempts at a sort of verisimilitude through a mixed visual style. Most of the film takes place in flat but serviceable digital, but the opening few minutes, set in the 1930s, are irritatingly manipulated to seem “vintage” (a useless effect since the date is shown in a chyron). But the majority of the work seems to have gone into darkening the images to an absurd extent, an effect which serves as the opposite to the extensive “bright” CGI used in the second half of the film. It isn’t extraneous, as there are vital scenes surrounding the spaceflights of the Mercury 7, but it feels distracting, often coupled with archival footage where the shift from film grain to sleek digital destroys a sense of continuity.